A recent press release from ITT IFSH states, “The new Food Safety Preventive Controls Alliance (FSPCA) is a one-year, $1 million partnership grant funded by the FDA Office of Foods through the IIT-IFSH-FDA collaborative agreement. Funding has been allocated to the development of a standardized industry- oriented training curriculum, including hands-on and web-based training modules.” The resource is specifically aimed at smaller operations that may desire some assistance as the new proposed rules are implemented. The establishment of a preventative controls alliance was one of many discussed concerns recently in “The Federal Food Safety Working Group Progress Report released in December 2011. You can check out the full report here. Last month, after traveling 900 miles I ended up in a small Pennsylvania community reminiscent of our Central Wisconsin. Morgantown is home to the U.S. headquarters of Nilfisk Industrial Vacuums. I had the opportunity to spend three days with a variety of Nilfisk employees to expand my technical, application, and quoting knowledge during an industrial vacuum (IVAC) training seminar. My foundation of knowledge was what I learned from working with our MRO Manager and several plant demos that I was able to be a part of. However, I lacked a technical understanding of what went into each vacuum and how to identify the everyday applications that could increase our vacuum sales. These areas I lacked were adequately touched upon and I now feel confident when it comes to assessing the application and selecting a vacuum for the customer. Also, highlighted in this training was the hot topic of combustible dust (com dust) and class rated areas. It is a plant’s duty to know whether they have class rated areas and then to take the necessary steps to eliminate com dust and the elements that can cause an explosion. One way Nelson-Jameson can be of assistance is by providing explosion-proof vacuums (electric or pneumatic), accessories, and replacement parts needed to comply with OSHA guidelines. One key point that was stressed by Nilfisk is that neither we nor they can tell a customer if they have combustible dust. Companies are required to investigate and know the dust status in their facilities and whether or not they require EXP vacuums. Now with a better understanding of industrial vacuums and applications, I look forward to getting in the field more to assess our customer’s needs. If your company would like a demo or in-plant trial please contact me at d.jones@nelsonjameson.com or 715-387-1151. Growing up in the Midwest in a food-industry family, I’ve had the opportunity to befriend an unusual amount of people that work for large food companies in varying capacities. Many of the people that I’ve met post-college work for the headquarters of our customers and competitors. Competitors aside, I find that most of these people willingly offer me information regarding sales, potential problems, new products and upcoming food trends. Their perspective and insider-view is invaluable to helping me understand our customers’ needs and wants. More specifically, the awareness of future food trends can help our Company to anticipate what our customers will be producing in the years to come, and help us to tailor our product offerings to their future needs. While reading the above lists, I’m sure most of you immediately thought of products/services that Nelson-Jameson sells/provides that are specific to some of these trends. And, that’s exactly my point. By maintaining a general awareness of the direction in which our customers are heading, we can better understand our customers’ unique perspectives and continue to maintain Nelson-Jameson’s identity as a knowledgeable, comprehensive food-processing supplier through proactively anticipating customer needs. Below you will find several of the many conferences offered this year focusing on the dairy industry. If you would like to see an upcoming dairy or food industry conference, workshop, or symposium featured on the Nelson-Jameson blog, leave a comment on this post. March 6-7 in St. Petersburg, Fl. April 10-12 in Milwaukee, WI. “The ICTE is an intensive combination of morning seminars, two full afternoons of uninterrupted Exposition and evening social affairs” for dairy manufacturers and suppliers. This year’s opening address will be delivered Mark Murphy, President and CEO of the Green Bay Packers. April 29-May 1 in Chicago, IL. 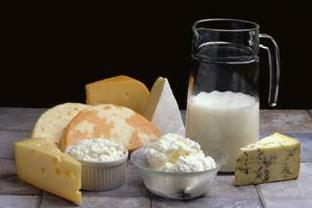 “Gain insight into current dairy trends and projected developments. Enhance your industry knowledge. Network with over 750 senior level executives from manufacturers, marketers, suppliers, distributors and brokers of manufactured dairy products, as well as industry analysts, journalists and key government officials…” A program of presentations, sessions, exhibits, and social events will be featured. This year’s American Cheese Society Conference and Competition will feature “our annual competition, educational sessions on a wide range of topics relevant to the industry, special events including a keynote by noted author and expert on humane livestock handling, Temple Grandin, and our annual Meet the Cheesemaker showcase”. For information on trade show and conferences we attend, see our Events page.